Studying in college can be quite difficult, especially if you don’t know how to do it correctly. One of my favorite study techniques is to create a study guide. It helps me revise the content of the class while also making me study! Sometimes, your professor will be nice enough to create one for you (or at least guide you a little bit by creating a fill-out version), but that will not always be the case. If that happens, you still need to be able to take the matter into your own hands and create one! 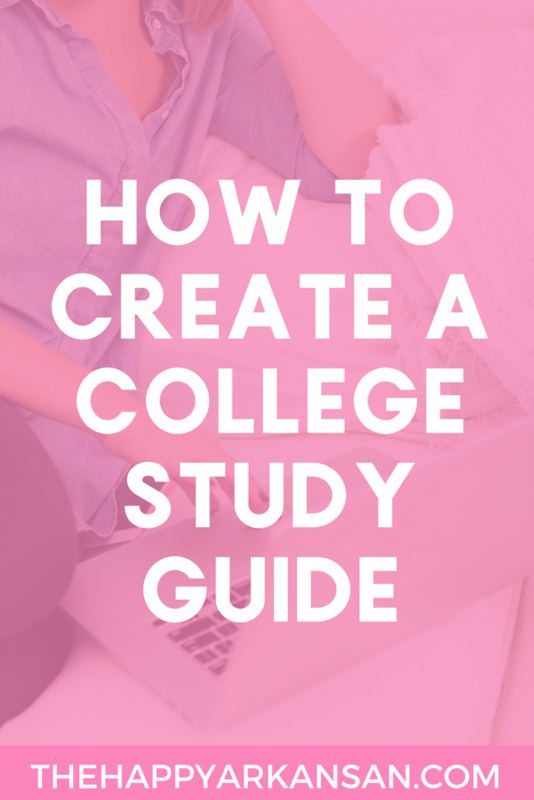 This step-by-step guide should help you make your own study guide, as well as explain why it’s an amazing study method that you should try! Start off by skimming through the material you’ve seen this semester: the textbook, any notes you might have taken, powerpoint presentations… anything that you might have seen in class can help you create your study guide. If you haven’t done it already, organize your notes so they’re easy for you to understand. Now would also be a good time to catch up on your mandatory reading, if you aren’t caught up already. At this point, you don’t necessarily want to reread everything. You just want to familiarize yourself with the content once again so it’s easier to study. After you’ve skimmed through your material, find the most important concepts you’ve seen in class. Your study guide shouldn’t be including all that you’ve seen, because not everything is going to be on the exam! Instead, focus on key points and concepts. This will help you create a general picture of what you’ve seen in class throughout the semester. Make sure you understand those concepts and write them down in your study guide. You don’t necessarily have to write down full sentences. Sometimes, keywords and concept maps are what work best! Find what works for you and stick to it. Also, if there are any concepts that you feel you don’t completely understand, now is the time to ask! Ask someone in your class or your professor for help if there’s something you haven’t completely grasped. Your professors are here to help you, and they will be happy to do so! You might feel like everything is important. I certainly tend to highlight everything in my textbook or class notes. That makes a lot of information to remember, lots of which won’t necessarily end up in the exam! You don’t want to spend hours studying something when you know it won’t serve you in the end, right? Especially if you know you could spend those hours preparing for what’s actually going to be on the exam! Your study guide should contain only the most important concepts you’ve seen in class during the semester. It’s not just a rewritten version of your class notes. It’s supposed to help you study and prepare effectively for an exam. You need to prioritize the information provided. If you’re having trouble identifying what’s important, go through your material and see what you’ve highlighted or marked as important. If your professor tends to repeat the same concept over and over, or if they take more time to explain it, chances are it’s important! Some teachers even like to do a not-so-subtle “that would be a great exam question” comment. When that happens in class, put a star next to the information, or highlight it! You will want to remember that once you start studying. Compare your class notes and textbook and see if there are any repetitions. Normally, if your professor took some time explaining something in the textbook, chances are that it’s going to be on the exam. Make sure that information is included in your study guide. If you’ve seen any vocabulary specific to that class, make sure you include those words (and their definitions) on your study guide! Even if you’re not directly asked to give their definitions, they might be plugged into a question. You want to make sure you understand every one of them so you’re not blocked by a word you don’t understand on a question on your exam! A good way to help you understand a concept is to add an example to it. Your teacher might have provided some to you during class, or you might come up with something. The important thing is that you add examples that you understand and that make it easier for you to study. Some of my professors liked to add questions on the exam where they specifically required that we explain a concept using an example. When you’ve already practiced with some, it’s a lot easier for you to answer the question than having to come up with one on the spot! It’ll save you a lot of stress and examples actually make studying easier! Now that you’ve familiarized yourself with the material, try to think of questions your professors could potentially ask on the exam. You can either create a practice exam for yourself, or simply add those questions to your study guide and answer them on the guide. Study both the questions AND the answers! Even if your professor might not end up asking the exact same question, you might have hit close to home! These questions and answers can help you answer the exam’s questions. Your study guide can come up in many forms: concept map, timeline (if you’re studying history or something like that), questions and answers, Word document… The choice is yours! It can even be a combination of many things (studying your material in different ways can actually help you retain the information more!)! Find what works best for you, and don’t be afraid to adapt your study guide to the class you’re studying! One of the most important things to remember when creating your study guide is to use your own words. Your professor wants to make sure that you understood the concepts seen in class, they don’t want you to just learn your class notes by heart and regurgitate that onto your exam copy! Writing things in your own words also makes it easier for you to study. You’ll understand what you’re studying more if you’re explaining it in your own words. As I mentioned before, a study guide shouldn’t be just a rewritten version of your class notes or textbook. So, try to format it so it’s easy for you to study! Use bullet points, headings and different colors so your brain can retain the information more easily. Don’t use full sentences; instead, try to use keywords or small phrases that are easy to remember. 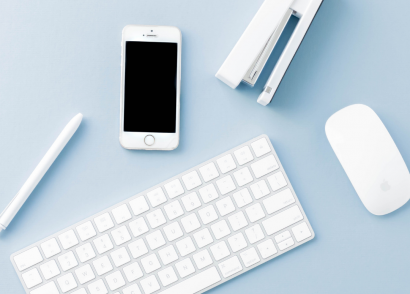 The main objective of a study guide is to facilitate your studying, and formatting your document visually will definitely help you achieve that, especially if you’re a visual learner (like me)! I also find that using bullet points and headings, as well as color-coding, helps me prioritize the information. Study guides are a very effective study method, if done correctly and thoroughly! I suggest taking it everywhere with you so you can study in your free time like during your lunch break, waiting for the bus, or in between classes. The important thing to remember when it comes to studying is that you need to do what works for you. Once you have found your method, stick to it!